The South Gate may have been built just before the Emperor Hadrian's visit in 129/130 AD, and it is therefore likely that it was built in his honor. 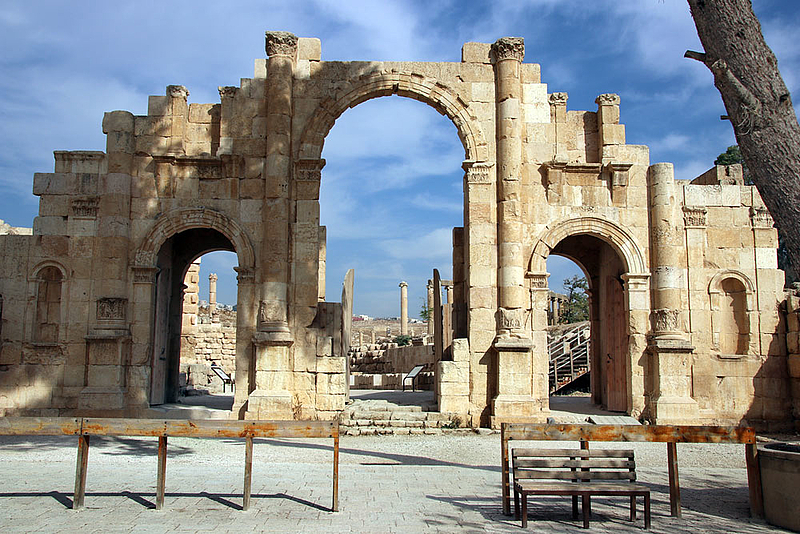 There are striking similarities with the larger and later erected Hadrian's Arch: Corinthian half columns on high pedestals, the arches of the gate passages sit on Corinthian pilasters, pavilions adjoin to the left and right of the actual gate building. Later it became part of the 3.4 kilometer-long city wall that was constructed at the beginning of the 4th century AD.